Instead of telling us it's a better food delivery app than rival brands, Uber Eats decided to challenge the boring rivals in our fridges. Today, when brands in the same category/segment are often seen picking on each other or banging their heads against the wall to spot a potent 'cause-driven narrative' for a campaign, online food ordering/delivery app, Uber Eats takes a lesser travelled route. 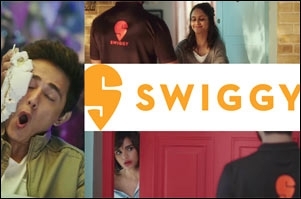 Its newest campaign doesn't even make an attempt to outdo its existing market rivals (Swiggy and Zomato). 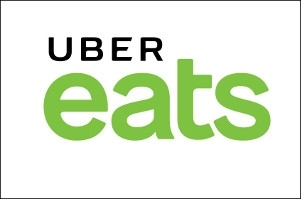 Conceptualised by Uber Eats' in-house creative team and directed by Shakun Batra of Kapoor & Sons fame, the campaign aims to create brand awareness and establish a strong connect with youth. Alia Bhatt was chosen to help deliver the communication. The brand tries to position itself as a service that's beyond just delivering food from restaurants, reinforcing its role in a consumer's everyday life. The campaign, spread across three films, illustrates a somewhat typical mealtime moment in each. One of the ads features Alia's character visiting a laid-up friend (played by Dhruv Sehgal from "Little Things" a popular web series) for whom she left a party. When she's hungry and heads to the kitchen, all she sees is a container of tinda (Indian squash or round melon or Indian round gourd). She threatens to leave if that's all her friend has for food. But, taking pity on him, she instead, orders from Uber Eats. One also has to wonder, since 'Tinder' (the dating app) is a thing now, among millennials, was it just a coincidence that the brand chose that particular, same-sounding vegetable over so many others? The multi-platform campaign will span ATL (TV, Radio, OOH, Print), Digital (YouTube, Facebook, Twitter, and content publishers) as well as Uber Eats-owned Customer Relationship Management (CRM) channels. While still in its infancy in India, food delivery is one of the fastest-growing segments of a national e-commerce market that has attracted billions of dollars from foreign investors in recent years. In such a scenario, India's top two food aggregators - Zomato and Swiggy - currently offer a cloud-kitchen model as one of their services to better aid partner restaurants with back-end supply. Uber Eats, being a late entrant to the party, seems like it's trying to make the fight more about ghar ka khana VS eating out and less about its services against the competition. Whoever at @UberEats_IND came up with the idea of this #MyTindaMoment campaign should try stuffed tinda . I am sure he/she will have a change of heart. Mythili Chandrasekar, consumer behaviour and brand strategy enthusiast, shares her take. "The Uber Eats ads find nice 'trigger moments' when we think of ordering something. 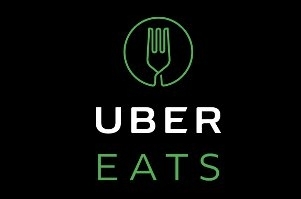 But coming as it does, after the more established players and at a time when more are mushrooming, it fails to hit the mark of answering the question - Why Uber Eats? Classic 'category motivator' rather than 'brand discriminator'," she argues. "Without this basic strategy, the celeb will bring some clutter-break and attention, but will not build lasting preference or a brand switch. 'Why is it Alia's food ordering app of choice?' Even if the category has only just begun to grow and it's all the brands that will collectively grow it, it is better to have one or a series of lynchpin differentiators," she adds. She also points out that the online conversations seem to have become about the vegetable, which doesn't really matter. "Triggers work like this - everyone will replace 'tinda' (from one ad) with whatever food they dislike; it is just a representation of 'boring' and apparently, quite sticky at that," Chandrasekar explains. Much has already been discussed about micro-moments in the ad space and how brands should craft communication around them. Brands in this category try to use that piece of information in all possible manners. Why do you care if the people dont like veggies like Tinda, Ghiya, Tori ... you can eat as much as you want ... you dont know these kind of apps are actually helping people. You have old thoughts ... this is new generation. About the strategic plank, Anadi Sah, lead innovation- creative & tech, Isobar, feels that while communication can certainly provide a boost to a consumer's preference, it is, however, the consistency in communication and quality of service that have equally significant roles to play. But for a brand like Uber, is branching out into a new offering an easy run? Mandeep Malhotra, founding partner & CEO, The Social Street seems to think so. He says, "....after all, there is trust in the brand and the service offering of "making life easy" from a delivery point is a good extension." However, Malhotra feels that Uber would have an advantage if they layer the existing tech over user habit and place the opportunity to consumers in a simplified way. That could have been something they focused on. He maintains, "I have one disconnect - the repositioning strategy of getting ghar ka khana, for the hyperactive user community of the TG, is a luxury. I would not want to drive them away from 'ghar ka khana'. Who doesn't want that after a hard day at work or social engagement?" Malhotra loves the idea of breaking the clutter by using Alia Bhatt, who is getting into the zone of a cute, acceptable 'ghar ki chulbuli ladki'. "She's a good, relevant choice, but the strategy is wrong," is his opinion. "Who likes tinda though? What I like about the ad is how it plays on the aspirational house setting of a young, employed and active couple," he points out. Recently, there has been some trust issues regarding delivery services; perhaps using someone like Alia, in a more quirky way, to nip it in the bud would have been a better idea. Malhotra agrees with the sentiment. When asked what he would change about the execution, he responds, "...I would have used her in that zone a bit more. Alia's character could have been a lot more fun - quirky, tongue-in-cheek, like one of the travel portal ads in the past.